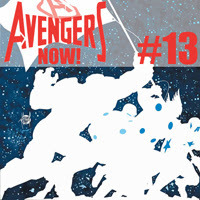 In this episode of Avengers Now!, Antony and Paul take look at the latest Avengers books, plus they review two more classic issues in Avengers Then! Avengers Now! - Avengers #23, Infinity #6, New Avengers #12, Avengers Annual #1, Young Avengers #12, Young Avengers #13, and Uncanny Avengers #14. Avengers Then! - Avengers #53 and Avengers #54.